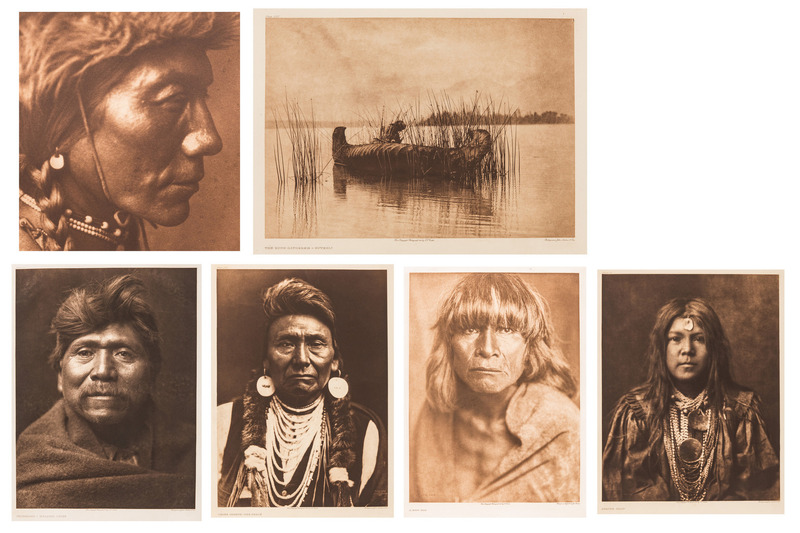 Group of six (6) Edward Sheriff Curtis (American, 1868-1952) posthumous photogravures from The North American Indian series. 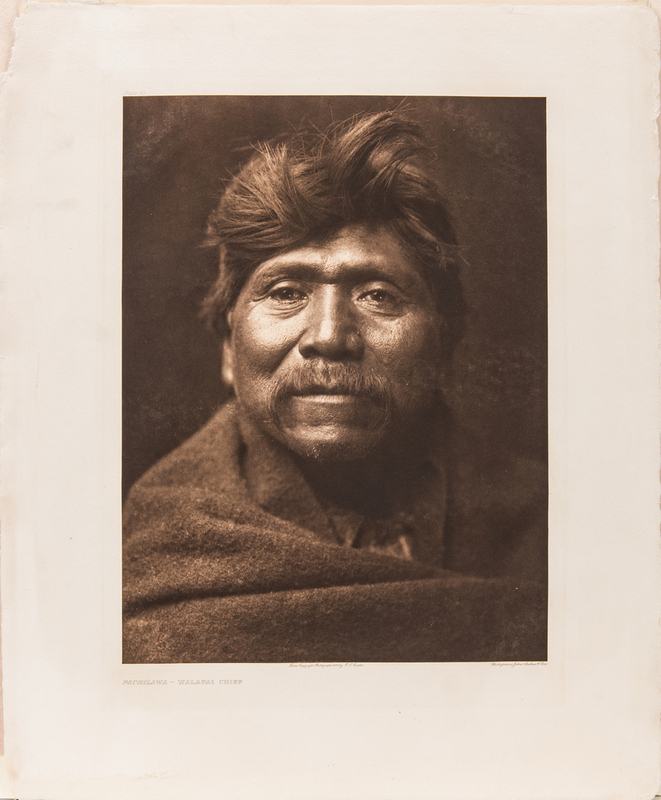 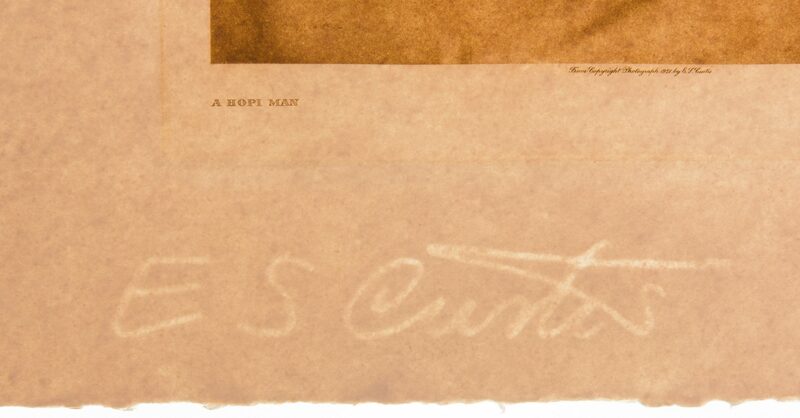 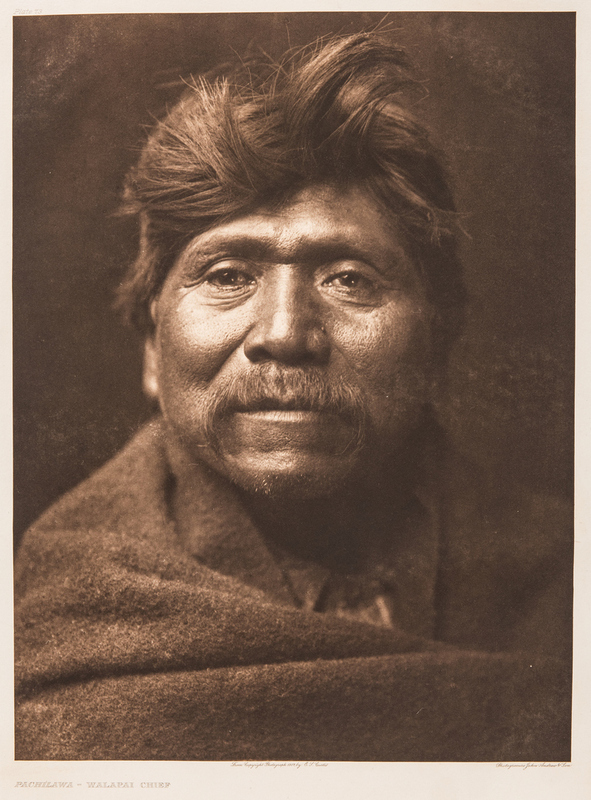 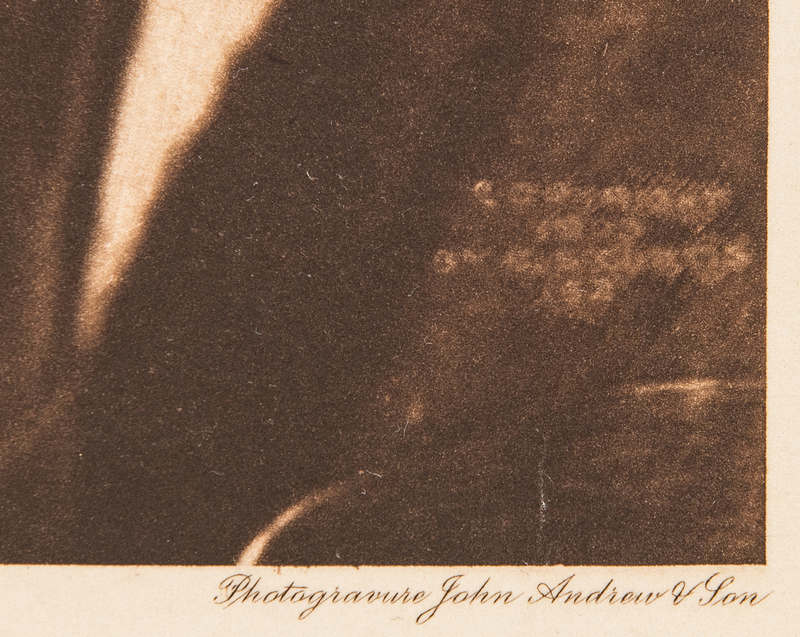 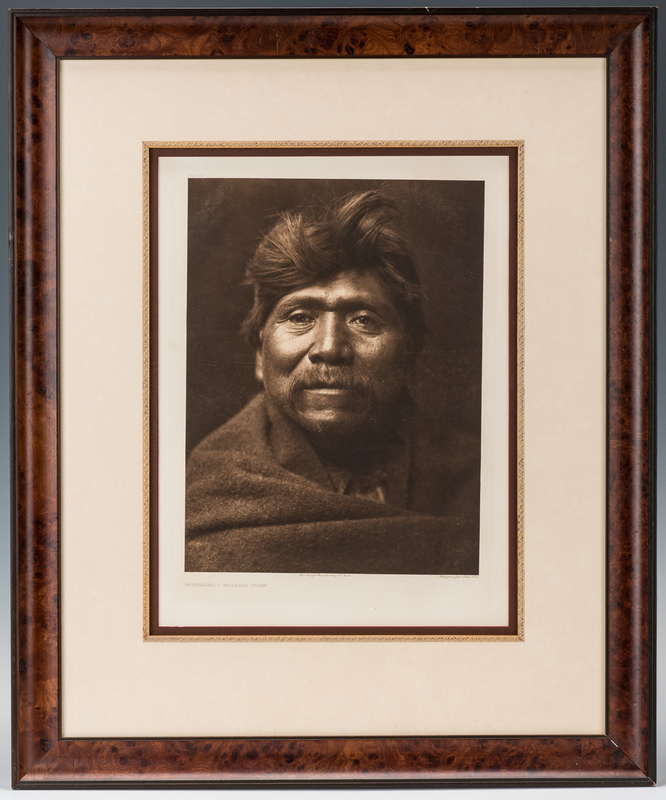 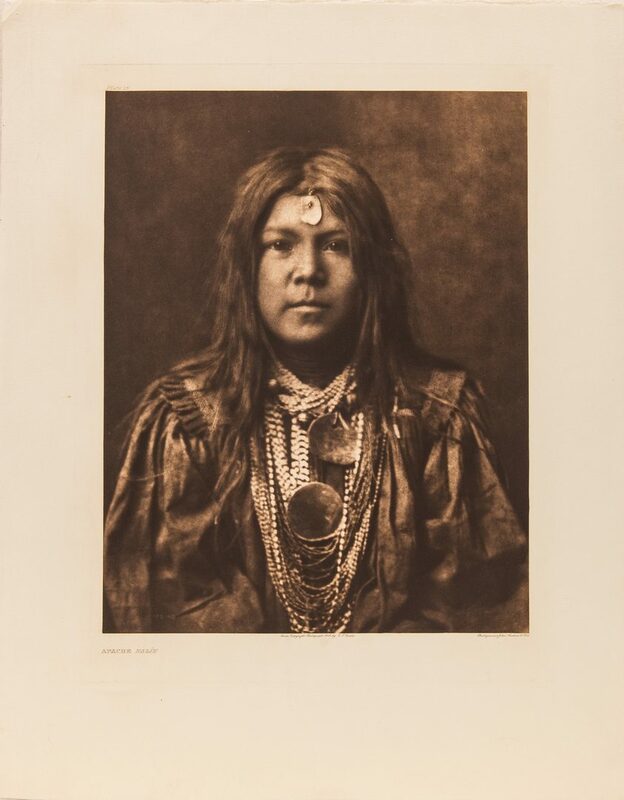 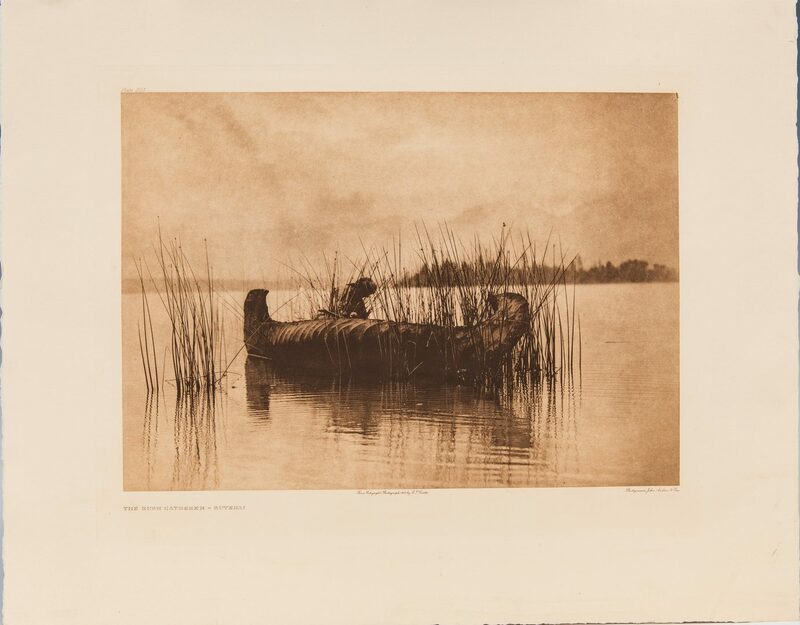 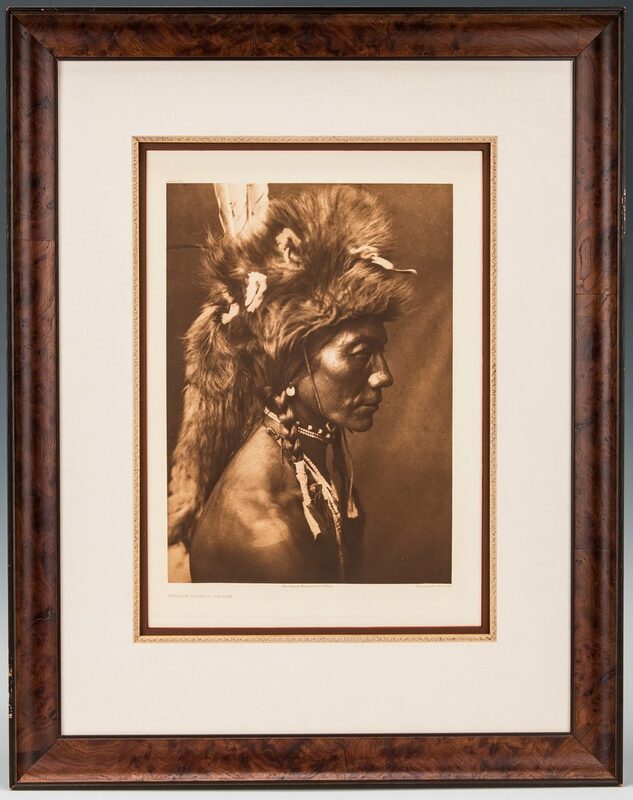 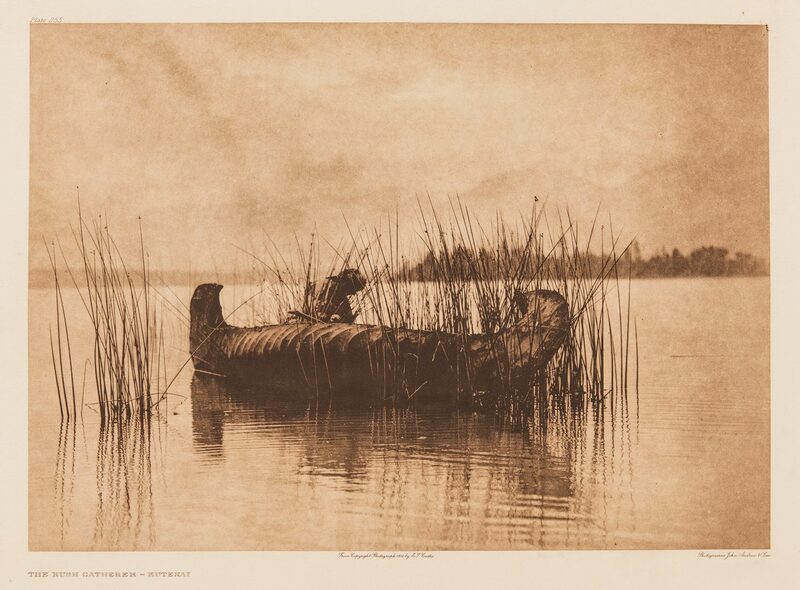 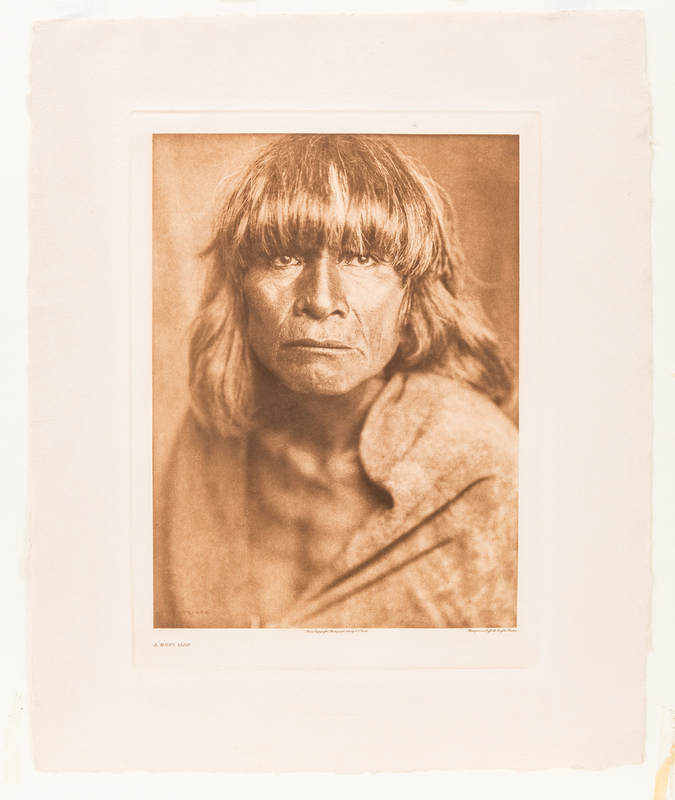 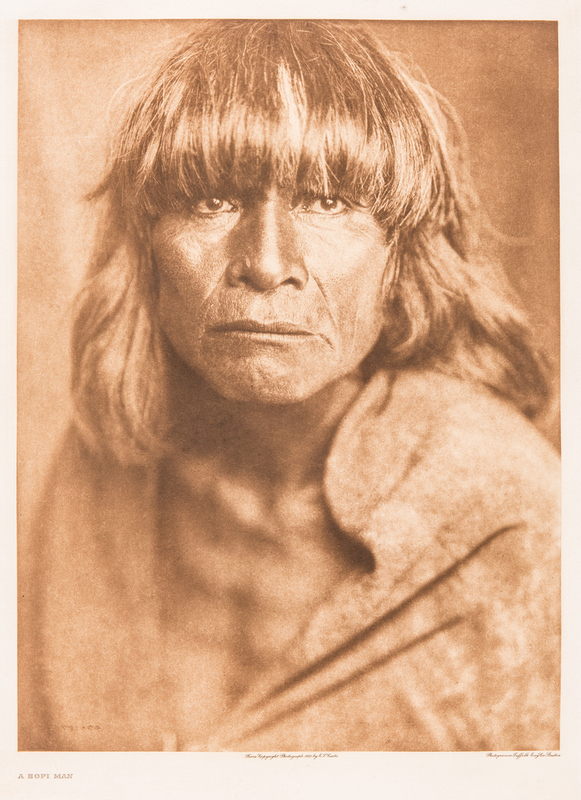 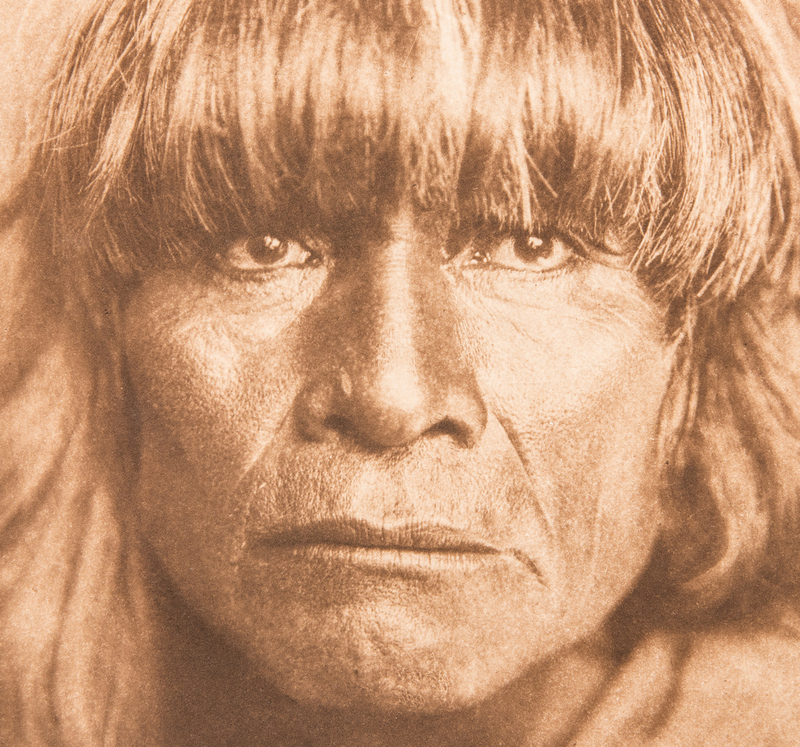 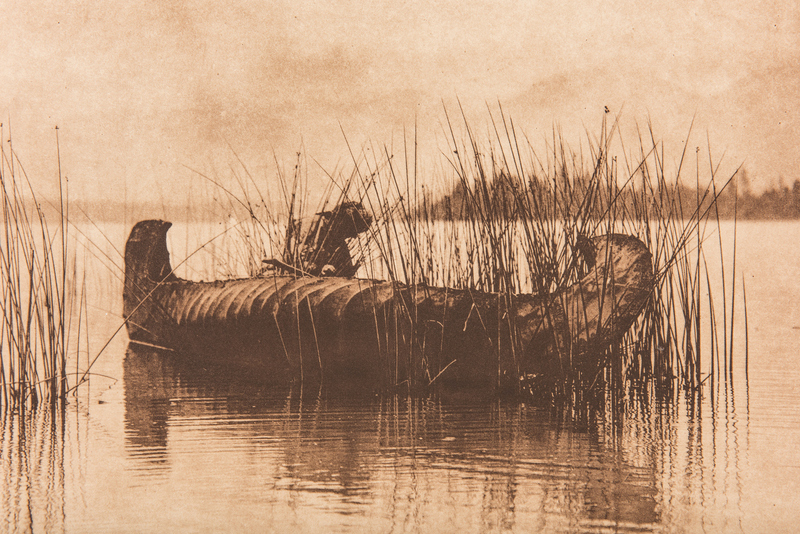 1st item: A HOPI MAN, posthumous photogravure by the Classic Gravure Co. on handmade rag paper with deckled edge, Publisher watermark and Edward Curtis signature watermark in margin, printed c. 1970. 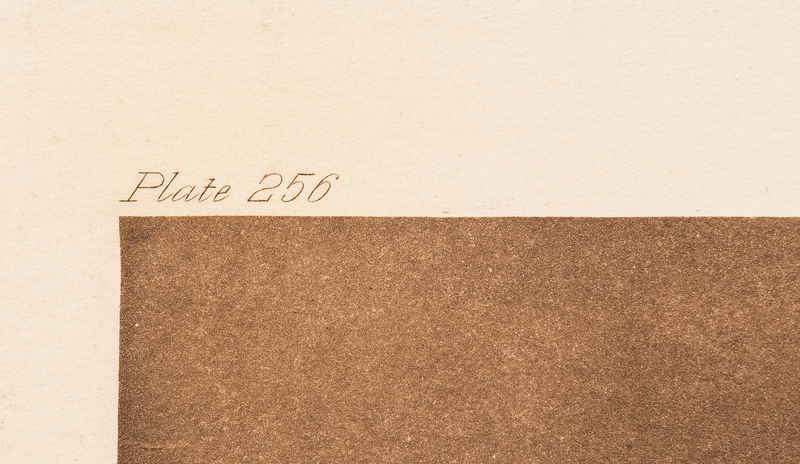 Sheet – 23 3/8" x 19 1/4". 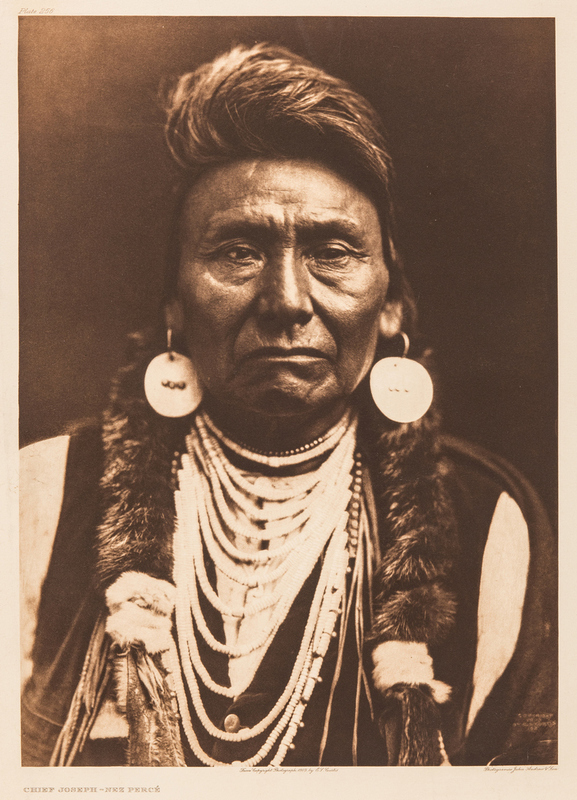 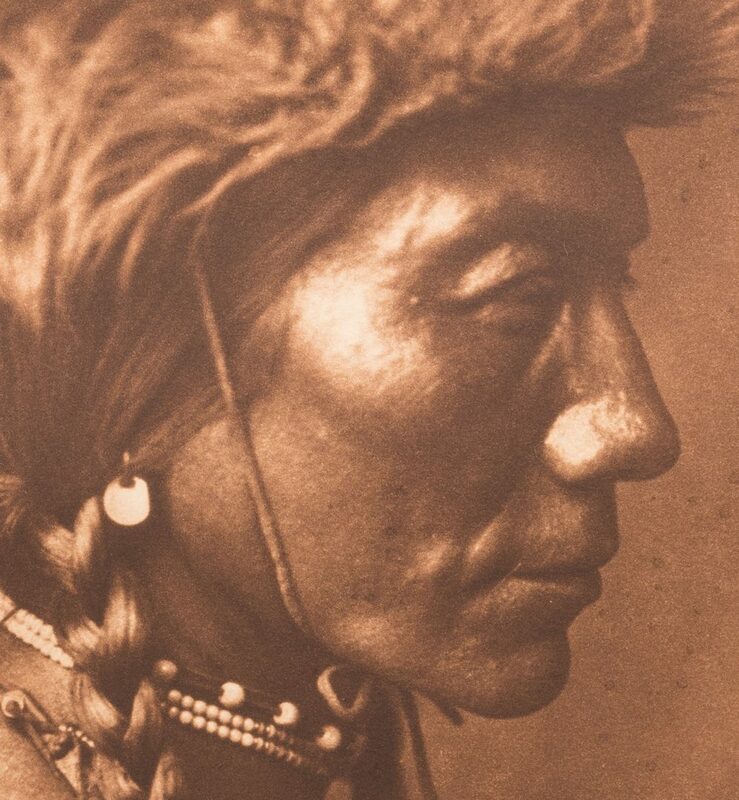 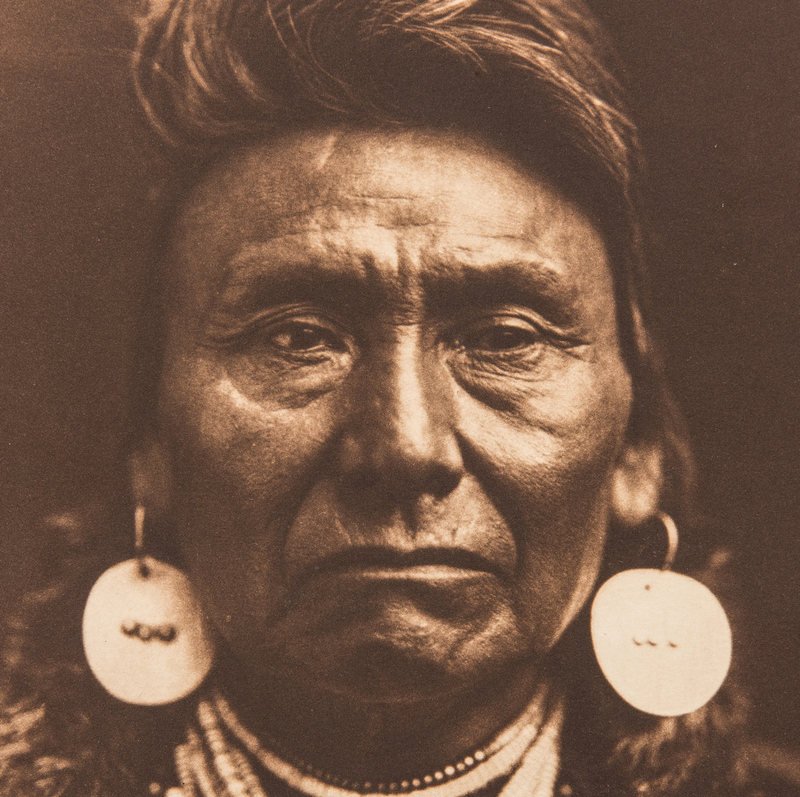 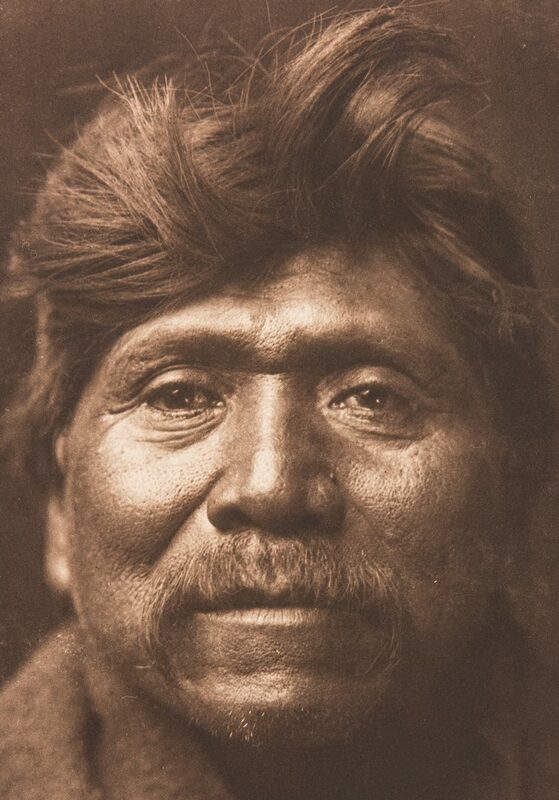 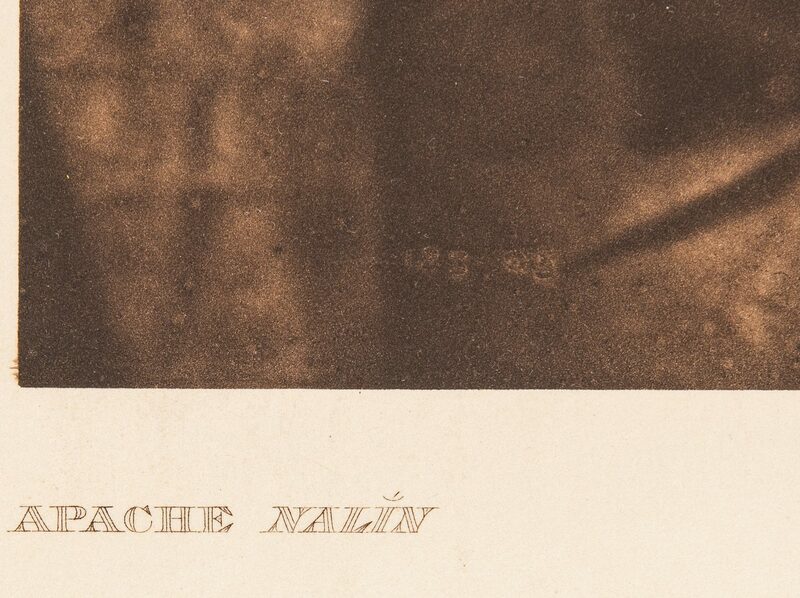 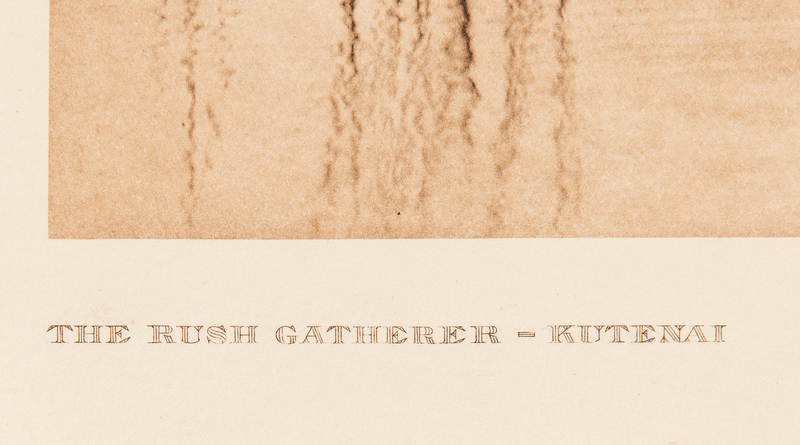 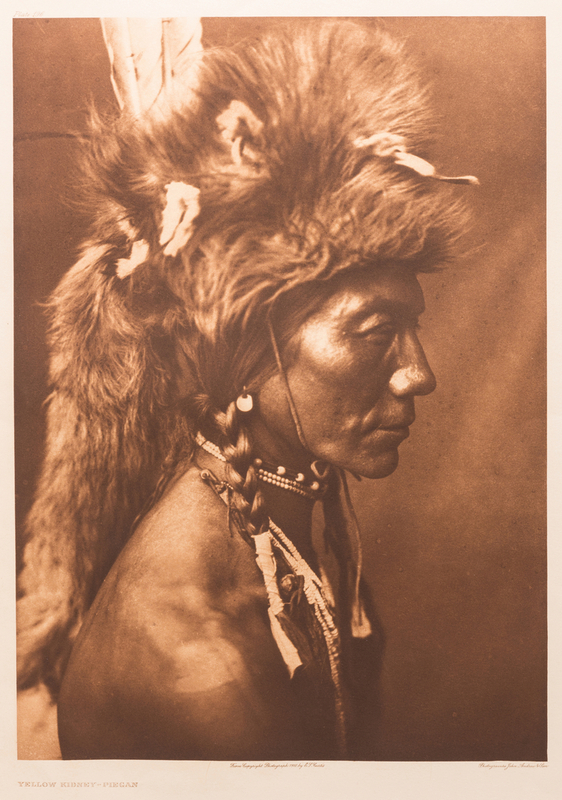 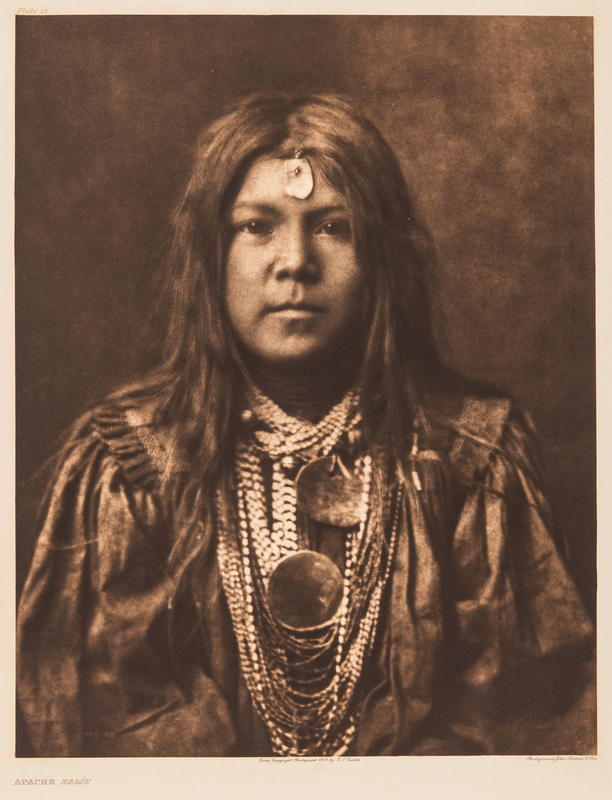 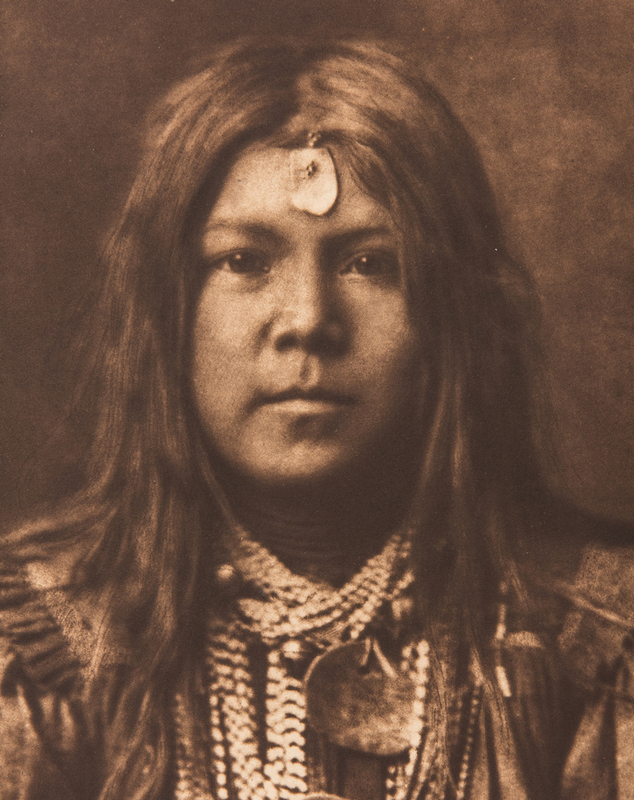 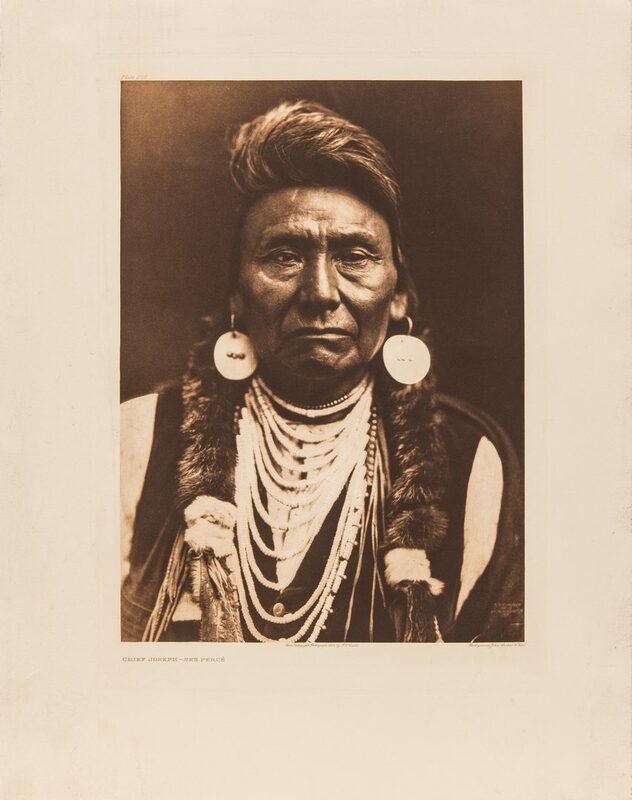 2nd-6th items: YELLOW KIDNEY-PIEGAN; CHIEF JOSEPH-NEZ PERCE; APACHE-NALIN; THE RUSH GATHERER-KUTENAI, posthumous photogravures on arches paper, printed c. 1970. 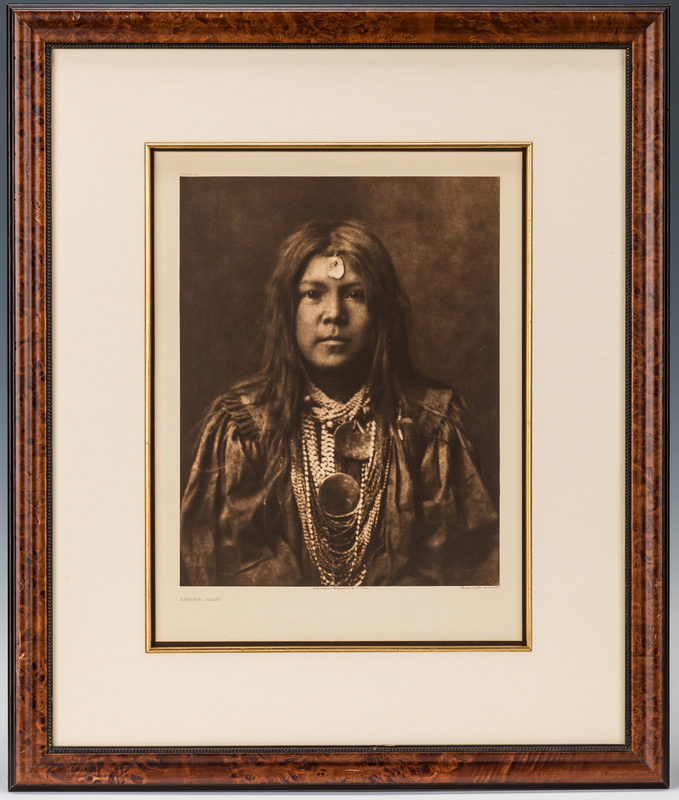 Each sheet – 22 1/4" x 17 3/8"; frames 30" x 24 1/2" and PACHIWALA-WALAPAI CHIEF, posthumous photogravure on arches paper, printed c. 1980. 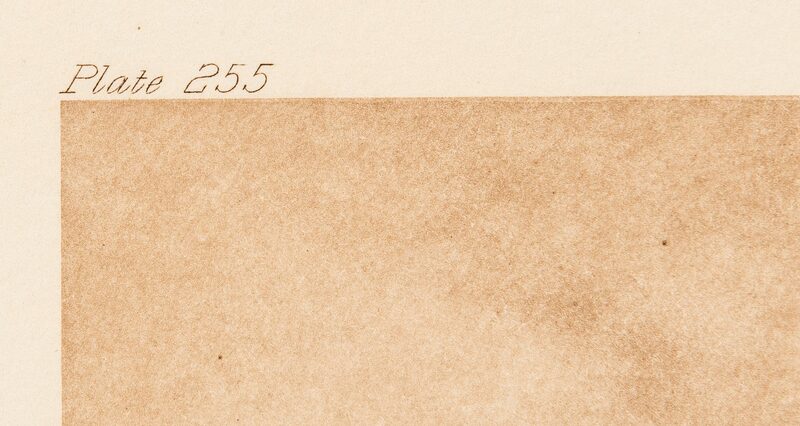 Sheet – 22" x 18". Framed 31" x 25 1/2". 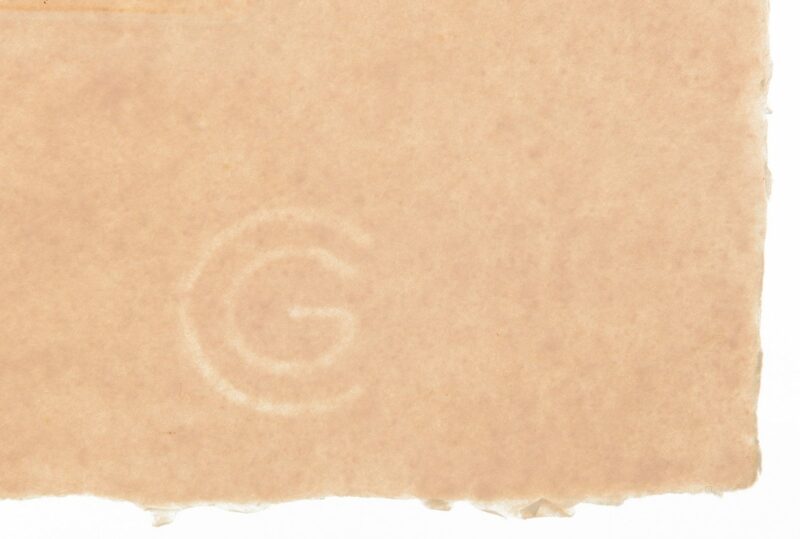 CONDITION: Group in overall good condition with minor surface grime. 6th item with 2" x 3/4" tear upper left corner. 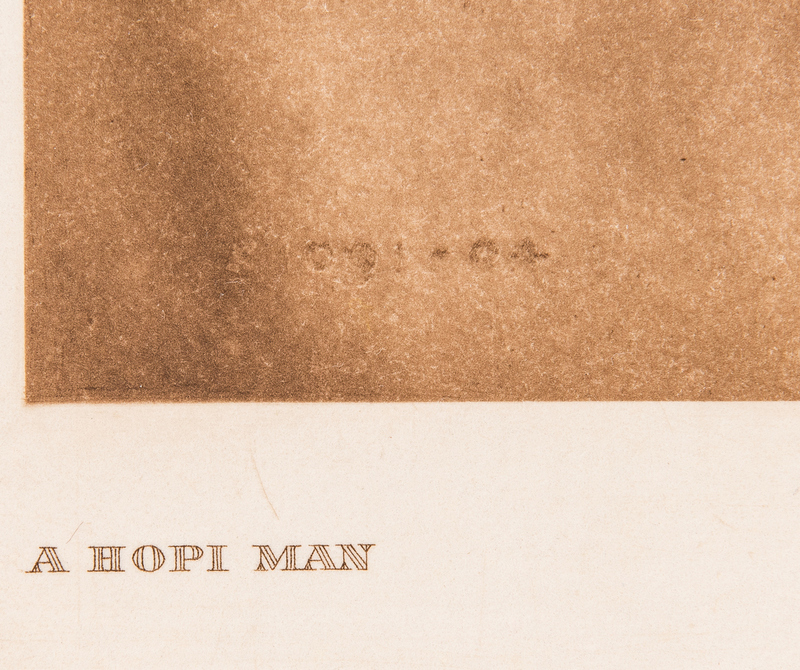 1st item: A HOPI MAN with archival tape attaching sheet top edge to matte board. 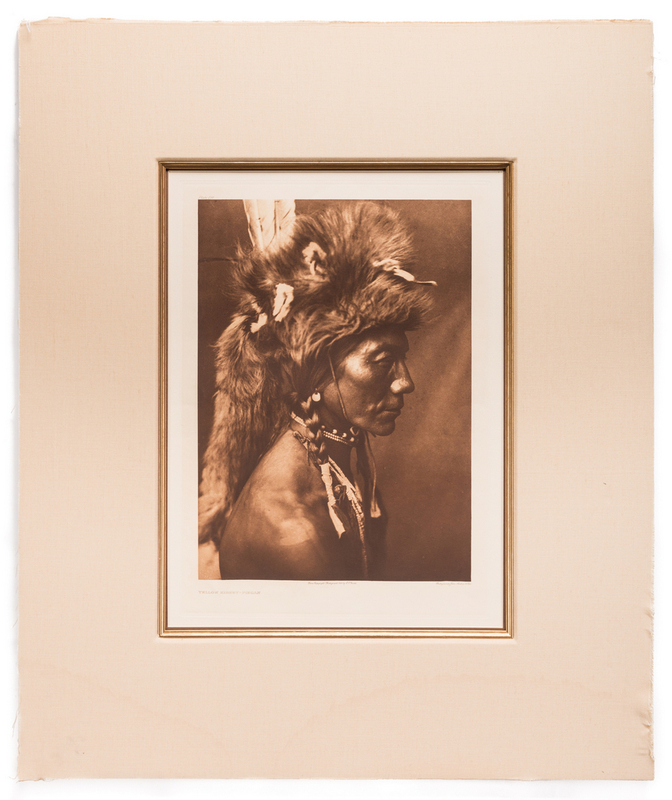 2nd item: A YELLOW KIDNEY-PIEGAN with two strips of archival tape at top edge of sheet, and no glass in frame.